Insurance is a means of protection from financial loss. It is a form of risk management primarily used to hedge against the risk of a contingent, uncertain loss. ... A person or entity who buys insurance is known as an insured or policyholder. 1. Two parties are involved in insurance contract. One party transfer the risk of his life and property to another and the other party gives assurance to bear the risk. 2. To transfer risk, the insured pays premium to the insurer. That means, price of risk taking is called premium. 3. 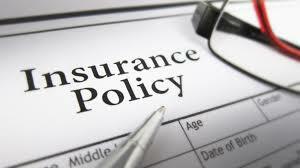 Terms and condition of the policy are enumerated in insurance contract. i) Insurance provides Certainty: Insurance provides certainty of payment at the certainty of loss. The uncertainty of loss can be reduced by better planning and administration. Insurance removes all these uncertainty and the assured is given certainty of payment of loss. The insurer charges premium for providing the said certainty. ii) Insurance provides Protection: The main function of the insurance is to provide protection against the probable chances of loss. The time and amount of loss are uncertain are at the happening of risk, the person will suffer loss in absence of insurance. The insurance guarantees the payment of loss and thus protects the assured from sufferings. iii) Risk-Sharing: The risk is uncertain, and therefore, the loss arising from the risk is also uncertain. When risk takes place, the loss is shared by all the persons who are exposed to the risk. i) Prevention of Loss: The insurance joins hands with those institutions which are engaged in preventing the losses of the society because the reduction in loss causes lesser payment to the assured and so more saving is possible which will assist in reducing the premium. iii) Insurance improves Efficiency: The insurance eliminates worries and miseries of losses at death and destruction of property. The carefree person can devote his body and soul together for better achievement. It improves not only his efficiency, but the efficiencies of the masses are also advanced. iv) Insurance helps Economic Progress: The insurance by protecting the society from huge losses of damage, destruction and death, provides an initiative to work hard for the betterment of the masses. The next factor of economic progress, the capital, is also immensely provided by the masses. The property, the valuable assets, the man, the machine and the society cannot lose much at the disaster.